This post addressed an issue on the iPhone SE (#iPhoneSE), wherein users are having trouble using the #iCloud service or unable to sync with iCloud on their device. Read on to learn what has possibly caused your iPhone unable to sync data with iCloud or cannot backup data to iCloud and what measures should be done in order to get the problem fixed. 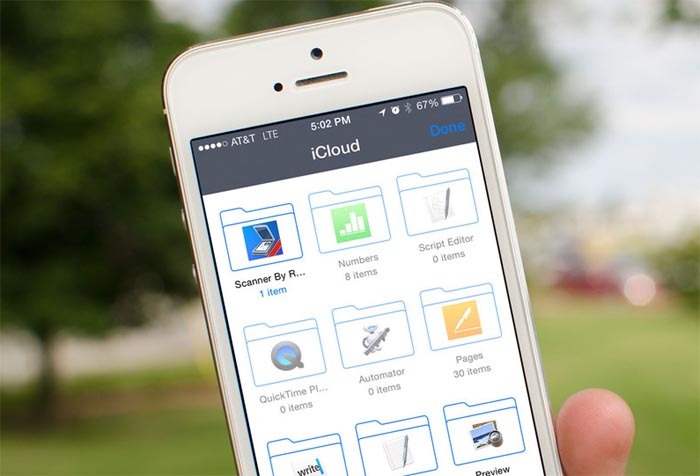 With iCloud, you can backup files automatically and wirelessly, keep significant contents including photos, videos, and documents in a more secured location and access or update files everywhere using your iPhone or other Apple devices. Surely it’s an amazing service that allows you to make the most of your hefty iDevice. But just like any other Apple services, iCloud can also develop some flaws. In fact, pertinent reports have emerged, saying that some iPhone SE owners have encountered problems while attempting to backup or restore their device through iCloud. One of these issues is manifested by an iPhone that won’t sync with iCloud. If by any chance, you bumped into this post while searching for potential solutions to a similar problem with your iPhone SE, then I suggest reading this entire content as it might be able to help you out and get your device to sync with iCloud flawlessly again. The subsequent methods I introduced are comprised of the most efficient workarounds and troubleshooting procedures suggested by Apple Support and major iPhone carriers to help users deal with iCloud syncing problems on their iPhones. If you wish to give any of these methods a try, be sure to test your device after completing each step for you to see if the problem is fixed. Otherwise, proceed to the next available workaround. Important Note : Before you begin, make sure iCloud service is available and that there are no planned outages or ongoing downtime activities when you are trying to use iCloud service. You may head on to Apple’s System Status page and then make sure the current iCloud/iCloud Drive status is green, indicating the service is good or available. You can also check if you’ve logged into iCloud using the same account on all your devices on the same page. Perform a soft reset or restart your iPhone SE. To do so, press the Power and Home keys until the Apple logo shows up on screen. Method 1: Ensure your phone has Internet access. Scroll to Wi-Fi from the Settings menu. Tap the ON/OFF switch to enable Wi-Fi, if necessary. To select a preferred Wi-Fi network to use, tap on the network name. If prompted, enter the correct password and tap Join. Wait for the phone to connect to your preferred wireless network. Important Note: Be sure to use or enter the correct password for the wireless network. Entering an incorrect password or if the Wi-Fi network password is changed, your iPhone won’t be able to connect to the Wi-Fi network, thus you won’t be able to sync or use iCloud service. In this case, you need to forget the network and then connect to the network again using the correct password. Tap the wireless network to remove. Reboot your iPhone and then reconnect to the preferred Wi-Fi network. Method 2: Verify if Documents & Data is turned on. To check, head on to your iPhone Settings-> iCloud-> Documents & Data-> and then toggle the switch to turn the feature ON, if necessary. Method 3: Verify and ensure Date and Time settings are correct. Scroll to and tap to select Set Automatically from the given options. Method 4: Log out of iCloud and then log in again. Tap to select the preferred option for your iPhone use of Location. Method 5: Disable and re-enable iCloud backup. Next, scroll to and tap Backup. To disable backup, tap the iCloud Backup switch. Wait for 30 seconds and then tap the iCloud Backup switch to enable it again. To test if backup is working, tap Back Up Now. In case you are only having trouble syncing while on cellular network but not on Wi-Fi, try to verify if cellular access is enabled for the app you are using. To do so, navigate to your iPhone Settings and then scroll down to the bottom of the list. Ensure you are using the correct account. Needless to say, your iPhone won’t be able to sync if you are not using the same iCloud account on both devices. To check, head on to Settings-> iCloud, and then check which account is currently linked with the device. Please note that you can only have one iCloud account active at any given point so they should match up. Also check if you’ve got the correct folder. For example, if you are using an app that lets you customize which folder to use in storing data. In that case, make sure that the paths or location of contents you are looking for are the same. Make sure you have enabled iCloud for your app. If you’re using iCloud Drive on your iPhone, go to Settings-> iCloud-> iCloud Drive, and then ensure the app you’re attempting to sync is in the list and turned ON. Toggling the app’s ON/OFF switch can also help restart the synchronization process. If needed, update to iCloud Drive on all devices at the same time. Be sure to select the sync options you want in iCloud. To check, head on to Settings-> iCloud-> and then make sure all data options that should by synced or backed up are turned on or enabled. If not, tap the switch to enable them. If the problem instigates after you make changes to iCloud, try to wait a little longer approximately 10 minutes (utmost). It could take some time for iCloud to kick in after the changes you’ve made. Be sure to restart or soft reset your device after making changes to iCloud settings. If the problem persists after performing all of the aforementioned procedures, please contact your carrier or Apple Support for further assistance and ask for other options you can try on. Need help fixing problems with your iOS device? We are happy to assist you further! Should you be interested with this free iOS support, feel free to fill up this form found in our dedicated Troubleshooting Pages. Be sure to provide us will all significant information including error prompts, codes, and warning messages you see, for us to be able to have an idea of what has possibly gone wrong and from that, we can come up with the best possible solution and recommendations for you to try on.